Summer is here and with it comes to the heat. Soon enough you’re cranky from hot sun bearing down on you and the waterfall of sweat running down your back. Worst of all your garden is shriveling under the sun; you wanted an herb garden, not a dried herb garden! If you want a fun, relaxing summer then it’s time to roll up those sleeves, put on some gloves and get to work because here are 10 backyard plumbing and water projects. A good start to a backyard project is a good patio. They are a foundation for later awnings and a place to kick back and relax without worrying about teetering tables and chairs on lumpy grass. However before you start a patio you should map out where your plumbing for the backyard is. You don’t want to burry parts of your irrigation without making sure you can access it at another location. In this hot weather, you won’t be the only one melting and you’re not covered in feathers. If you get frequent feathered friends in your backyard you may want to install a simply birdbath for them to enjoy. If you already have a slide for the kids or are willing to buy one, a simple sprinkler system and tarp can give kids hours of backyard fun. A little water, maybe some soap for extra slip, and off they go. To minimize the chance of weeds and optimize garden growth and watering, burry large pots where you want your plants and cover unwanted ground with tarp. Make sure the tarp has a few small cuts to it for rain water to go through and not flood the garden. Set up an irrigation system on the tarp around the pots and cover it with woodchips or pebbles of your preference. The tarp will prevent weeds seeding, while the pots can be filled with good soil with an easy irrigation system. 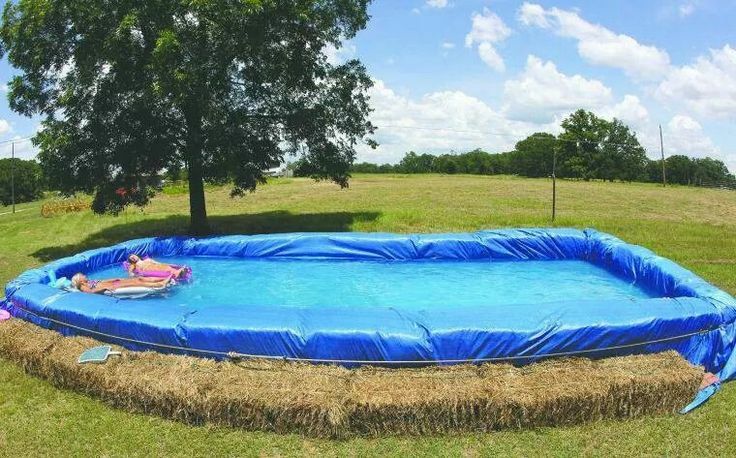 If you don’t have a swimming pool you could make a temporary one using hay bales, tarp and rope. Use the bales to create your desired perimeter before covering it with a large tarp and roping it to keep it tight and secure. 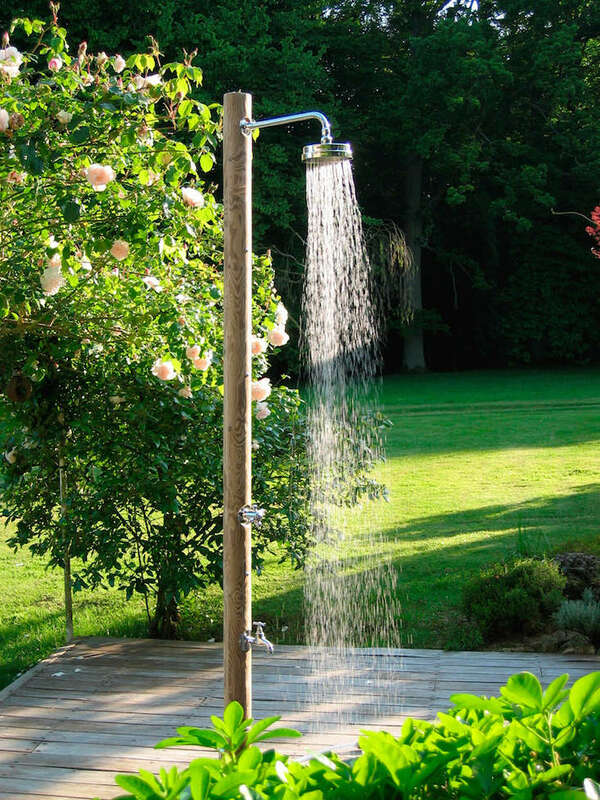 A backyard shower is a must have after a day in the garden or after a run. It gives you a chance to cool and clean off without trekking dirt and grime through the house. 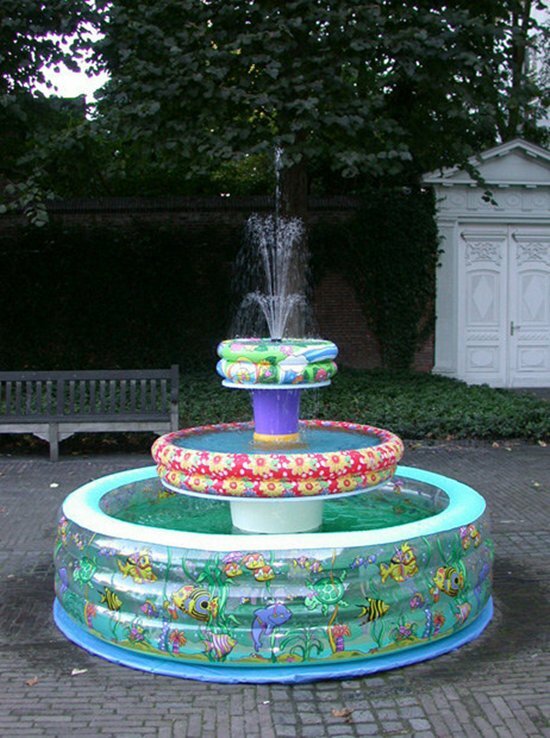 Create a water feature from rising tiers of baby pools with a large kiddie pool at the bottom for the kids to play in. Fun for the kids and a water feature in one. If you want to get hands dirty with a big backyard project then a pond may be what you want. These water features can be complex and hard work but absolutely breathtaking if done right. You will want to have it all mapped out before you begin digging of where pipes and pumps will go. Most important is having a good filtration system. If you intend to put fish in the pond then it can quickly grow murky if the filtration is not up to par. 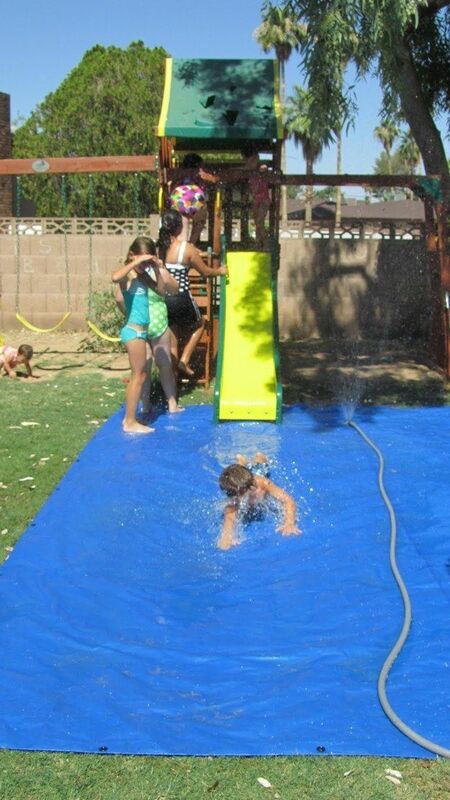 For easy fun in the sun fill up a water blob for the kids to crawl around and bounce on. To make a water blob all you need is large sheet of painters plastic and an iron to seal the edges together. To make the ultimate sprinkler you will need PVC pipes, a drill, and some water noodles. Don’t make the holes to large when drilling into the pipes or you might have some poor water pressure at the end of the system. Let’s us know what your favorite outdoor summer project are below!